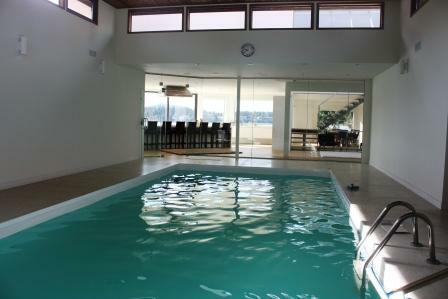 Nanoose Bay’s first solar heat-pump heated pool! Especially in the summer-time, when the sun is heating up the panels on the roof of this ocean-side home, this pool will easily be heated by the sun’s energy. They save money and know that the free solar energy heating their pool is free!